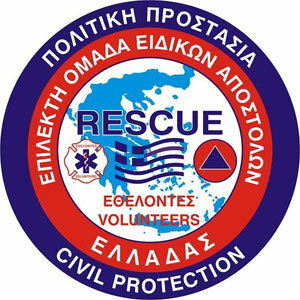 In 2015, the Emergency Fire & Rescue Unit (EFRU – Malta) secured European funds under the Erasmus+ Key Action 2 funding stream, specifically Strategic Partnerships for Adult Education, to lead the project entitled ‘Synergising European Volunteer Rescue Teams – A Rescue Operations Manual’, together with five (5) other partner volunteer rescue organisations, namely the Cyprus Civil Protection Volunteer Corps (CCPVC), Edelweiss (Italy), Elite Team Special Missions of Greece (ETSM), Escola Portuguesa de Salvamento (EPS), and Serve On (UK). These meetings served as an opportunity for discussion of various topics related to the development of the rescue manual contents. The first meeting served as an introduction to the project, assignment of tasks and communication of timelines. After the first meeting, the teams started drafting an outline to each chapter and from the second meeting onwards, each chapter was developed in content. Subsequent meetings served to discuss the content proposed for each chapter as well as the general design of the manual. Between the third and fourth meeting, each team peer-reviewed all other chapters and provided feedback such that all consolidated feedback was discussed in the fourth meeting. The work relating to proofreading, editing , and subsequent reviewing by authors was initiated after the fourth meeting, resumed during the fifth and last meeting, and finalised within a few weeks later. The separate chapters are now being designed and the finalised designs will then be sent for printing. A training activity was conducted in Malta in February 2016. This consisted of various emergency simulations and insights to team management and risk management, spread over a period of five (5) days, with the aim to give the teams the opportunity to work together. In fact, each operational team was composed of rescuers of different nationalities, presenting the challenge of different language and culture in a tense and time-critical situation such as a rescue operation. These simulations gave great insight to the individual rescuers, their teams and eventually to the authors contributing to the rescue manual. In conclusion to these rescue simulations and following debriefing sessions for each specific rescue scenario, an experienced rescuer and team leader, presented an insight into team management and risk management, as pertained to rescue. A conference will be organised in Malta in May 2017, to conclude the project and present the finalised rescue manual. 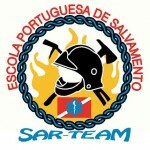 For this conference, a number of volunteers from European rescue teams not involved in this project will be invited, together with representatives from Civil Protection authorities. 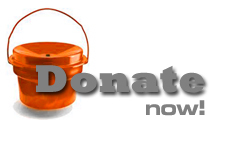 Apart from the presentation of the rescue manual and the general results of the project, it is envisaged that a number of keynote speeches will also be featured in relation to the volunteer rescuer and the volunteer rescue team. 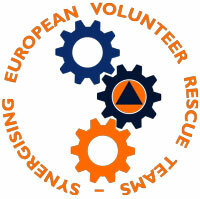 A short rescue simulation will also be organised a day before with the conference. 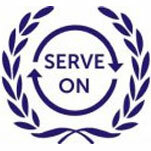 Visit the ‘Project Timeline’ for the Latest News and Upcoming Events about the Project.